2. Running Specialty Stores: Many local running specialty stores offer group training runs, usually for free, that start and finish at the store. If your local running store doesn't already host runs, ask them if they'd be interested in serving as a meeting place for runners to start and finish their runs. Chances are they'll have a hard time saying no to that kind of free marketing and exposure. They may even offer to lead a run and workout. 3. Stroller Strides is a stroller-based fitness program that helps moms of little ones get and stay fit by walking, running, and working out with their babies and toddlers. Stroller Strides is active in 2,000 communities across the U.S., so check out their website for a location near you. 4. Girls on the Run is a transformational learning and fitness program for 8- to 13-year-old girls. During an after-school program, they learn life skills through dynamic, conversation-based lessons, and running. After training for 10 weeks, the girls participate in a 5K race. 5. Marathon Kids is an organization that, with its partner Nike, introduces kids to running in a fun, positive way that will set them on the path for a healthy, physically active lifestyle. Check out their website to search for a Marathon Kids club near you or for information on how to start your own Marathon Kids club at a camp, school, or at home. 6. Charity Group Training Programs: If you'd like to be part of a running group and also give back to a good cause, look for a charity group training program. Many not-for-profit organizations offer group training and cover race expenses in exchange for your fundraising efforts. The biggest programs with many locations across the country include the Leukemia and Lymphoma Society's Team in Training, the Crohn's and Colitis Foundation of America's Team Challenge, and the American Cancer Society's DetermiNation. 7. Sign up for a local road race. Many races offer free group training runs to registered participants. If you're training for a specific race, check the race website to see if they have any organized training runs scheduled. Training with others for a race will help you stay motivated and also make the race more fun since you'll know other racers. If you can’t find an existing running program in your community, why not start your own? Here are some tips to get started. If you'd like to be part of a larger, already established program, don't let the lack of a local chapter stop you. Many of the above programs offer franchise or partner opportunities, plus lots of support and guidance to help you get a program off the ground. Check out their websites for more info. To start your own running group, grab a couple of friends or co-workers who are also interested in running regularly. Pick a set day/time each week to meet. Once you've established a consistent meeting time and place and have a few group runs under your belt, reach out to other friends and neighbors, either in person or through social media, and encourage them to join you. Pick a race that you'd like to train for with your group (a 5K is a good choice because they're very beginner-friendly), so you all have a common goal. 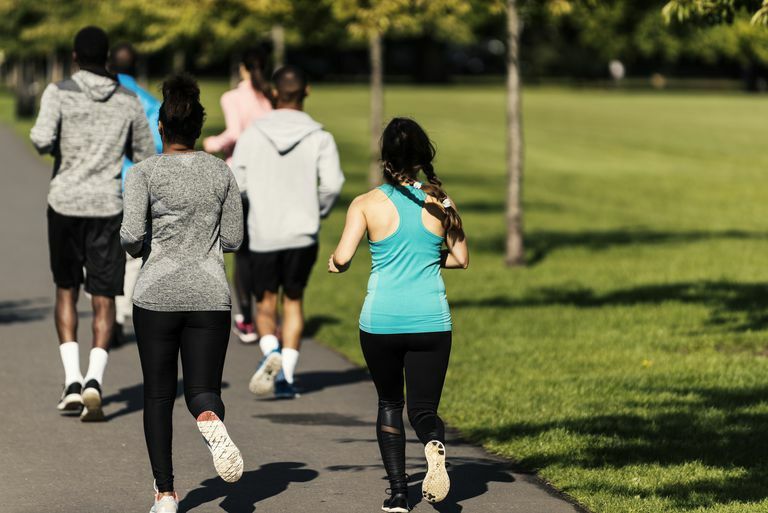 Distribute a training schedule to your group and plan to run together for at least one weekly run. If you're interested in starting a running club at your kids' school, talk to the principal and physical education teachers to get feedback and advice on getting started. Or, check with your city or town's recreation department or local youth sports organization.